Maskers Studio Theatre is situated on a small industrial estate accessed from Emsworth Road off Shirley High Street. Walk down Emsworth Road for approximately 20 metres and you will see an alleyway on your left directly opposite an alleyway on your right. Look down the alleyway on your left and you will see a large sign fixed on the wall of the Maskers Studio Theatre, the sign is illuminated on dark evenings. 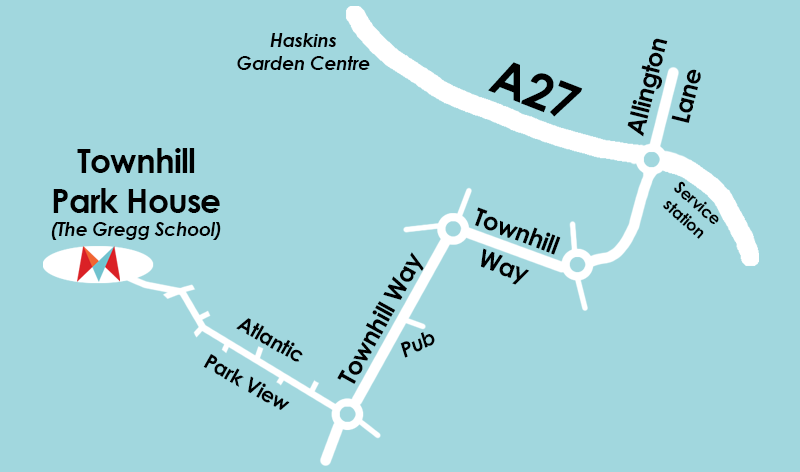 Townhill Park House & Garden is our new Summer Open Air performance venue. It is the location of the Gregg School and was the former home of Lord and Lady Swaythling. The building dates from around 1790 and was extended and re-designed by the architect Leonard Rome Guthrie in an Italian-style in 1911. Guthrie also designed the terraced gardens to complement the style of the house, with planting plans produced by the noted plantswoman, Miss Gertrude Jekyll. Guthrie returned to Townhill Park House after the First World War to add a music room, panelled in polished walnut, and a boudoir for Lady Swaythling. Guthrie also designed a garden at the rear of the house that the new boudoir overlooked and this became known as the "Boudoir Garden". Queen Mary, a close friend of Lady Swaythling’s, visited Townhill Park House on a number of occasions, regularly enjoying a walk through the gardens. The Gregg School is an active school but the Gertrude garden is open just a few days of the year. Visit the Gregg School website for details of current open dates. 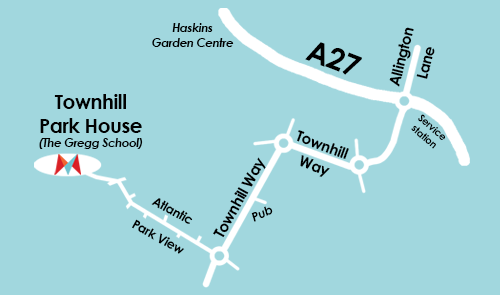 From A27 at the roundabout with Allington Lane turn into Townhill Way (1st exit from East, 3rd exit from West). Go straight across first roundabout, first left at the next roundabout (still following Townhill Way). Pass the “Two Brothers” (a Sizzling pub) on left. Turn right (3rd exit) at next roundabout. Townhill Park House (the Gregg School) is at the end of this road. Parking is available in the grounds. Follow the drive towards the house, our parking attendants will direct you from there. You are advised to bring low back chairs, rugs etc., as NO SEATING IS PROVIDED. We suggest you also bring jumpers or coats, as it can get cold even on the warmest of evenings. Any decision to cancel a performance due to bad weather will not be taken until the performance start time; patrons may then be offered a ticket for another night. NO REFUNDS WILL BE GIVEN. Townhill Park House is now the home of the Gregg Schooland as such it is not generally open to the public and there is no public access prior to the performance dates (except for a very few specific dates when they open the Gertrude Jeckly Garden - see their website for details). Ample free parking and toilet facilities are provided with provision for disabled patrons. There is a short walk of approx. 100 metres to the performance area. Hot and cold drinks and snacks will be available to buy. No unaccompanied children under 16. No dogs (except guide dogs).